Welcome to our 9th Annual Las Vegas Market Symposium! 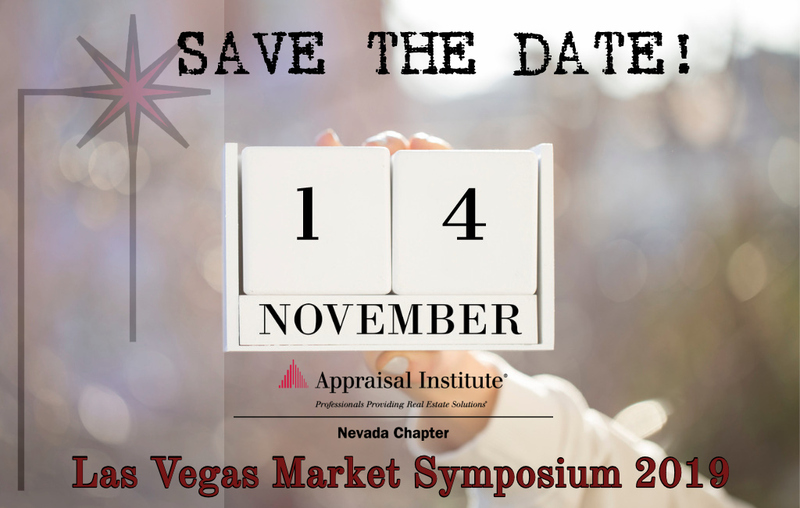 The 9th Annual Las Vegas Market Symposium will be held Thursday – November 14, 2019 at the Suncoast Hotel & Casino in Las Vegas, Nevada. Since 2011, we have been excited to bring this program to the area’s real estate appraisers and allied professionals to discuss the southern Nevada economic climate. Each Symposium provides a look ahead for our economy. What does 2020 hold? Our panels will dive into the details of what is driving local real estate trends. Once again, this year’s Symposium is promising to offer unique information to its attendees and we look forward to seeing you on November 14th! Copyright © 2018 Appraisal Institute Nevada Chapter. All rights reserved.